The cooper's raw material is noble and prestigious. Ours comes exclusively from France, world-renowned for the quality of its oak. The Tronçais, Bercé, Compiègne, Haguenau, and Bitche forests that supply our oak are state-owned and overseen by an organization called the ONF (Office Nationale des Forêts), which is run according to sustainable development principles. Meyrieux selects their oak according to strict parameters maintained year after year. We choose our suppliers based on their professionalism, reliability, and ability to provide regular shipments of the type of oak we are looking for. A set of specifications has been established to select the very best stave wood. 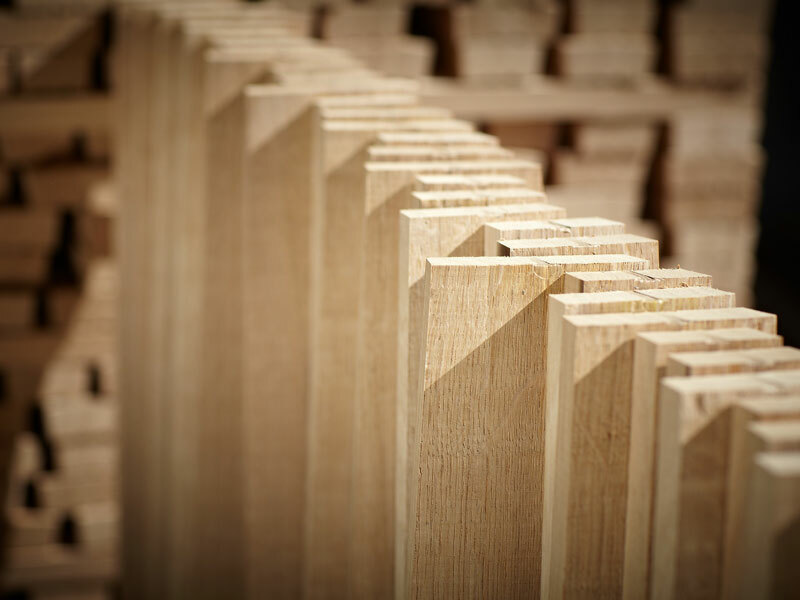 Over the years, a strong relationship has been built up between Meyrieux and their stave wood suppliers, who are well-aware of our demands and criteria. Traceability procedures are set into motion as soon as the stave wood arrives at the cooperage. The origin of the oak is known at every stage of production in order to have maximum control over our raw material.